Made in very high quality, supple black cowhide also with areas of grey Nubuck. Strong zip and Velcro fastening at side. Composite protection on heel with reflective pad. 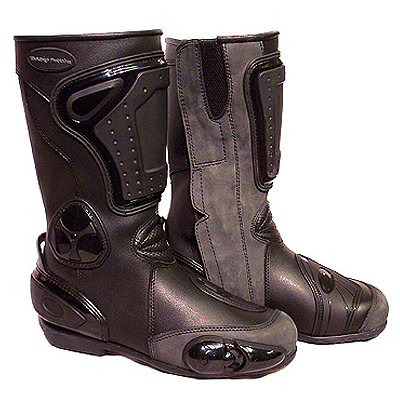 An exceedingly stylish and safe boot! PLEASE NOTE: This item can be exchanged like for like for any size listed here. As this item is being sold as clearance, if a refund is required, a 10% re-stock will be charged. However, should you wish to exchange this item for a running line, the new item will be sent out with FREE P&P.